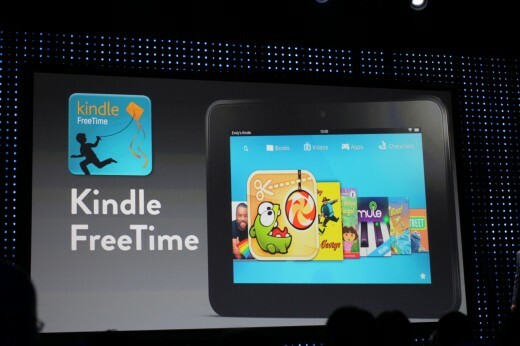 Amazon has just informed us via email that it is updating its Kindle Fire HD lineup with the kid-friendly FreeTime feature it promised at launch. The feature allows parents to limit kids’ access to certain kinds of content and more. Amazon also took the time to note that the $199 Kindle Fire HD was the #1 best selling product across all of Amazon worldwide, a distinction that it says the original Kindle Fire has held up until now. The Kindle Free Time feature lets you set limits on how long your kids can use the tablet and even allows you to limit by specific features. There’s also a kid-friendly interface that allows parents to visually track what their kids are doing more easily. Kids can’t exit FreeTime mode without entering a parent set password. The feature was announced at Amazon’s media event back in September where it announced the upgraded Kindle Fire model and the two new HD models. 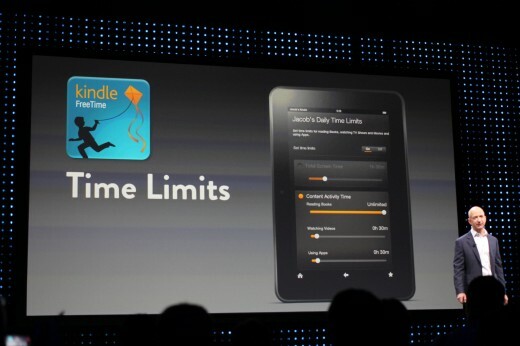 At that time, it said that the upgraded Kindle Fire would also get FreeTime, but there was no mention in today’s email. We’ve reached out to clarify which models will get the update. The update will be rolling out to all Kindle Fire HD owners starting now. As of this point we haven’t gotten the update on our demo unit Kindle Fire HD as of yet.